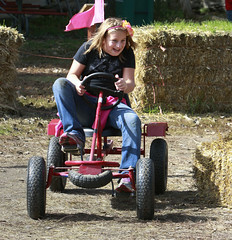 Papa’s Pumpkin Patch is open Saturday, Sept. 23. 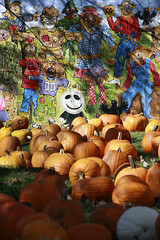 To date, we’ve hauled in over 150,000 pounds of pumpkins, squash and gourds at Papa’s Pumpkin Patch! We anticipate we will bring in well over 400,000 pounds of produce through the end of our season on Saturday, Oct. 21. We’ve got most of the pumpkin varieties in the yard, and Papa thought you might like a sneak peek at some of what’s waiting for you! P.S. We also have a wonderful supply of squash, including: acorn, buttercup, butternut, carnival, red curry, spaghetti and turban. Warty Goblins at Papa’s Pumpkin Patch! Sugar pumpkins are best for baking. Find them at Papa’s Pumpkin Patch! Papa’s Pumpkin Patch has lots of snowballs in September! The super-sized white pumpkins are called New Moons. 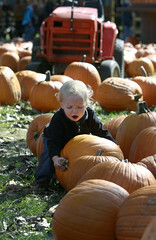 Howden, Stonehenge and Solid Gold pumpkins at Papa’s Pumpkin Patch are the most popular for carving. These wild-looking gourds are called Lunch Ladies, and you’ll find them at Papa’s. These unique fellas are called Jardahl pumpkins. 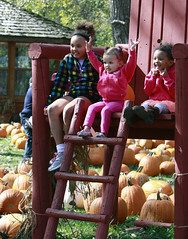 You could have guessed it – Wee Bee Littles are now at Papa’s Pumpkin Patch. Papa’s Pumpkin Patch has a small number of these beautiful Speckled Swans.